District 5020. Vancouver Island, Canada & Western Washington State, USA. We think we have one of the most beautiful Rotary Districts in the world. You are welcome. Our District includes Vancouver Island, British Columbia, Canada, and Western Washington state, USA. Major centres include Victoria, BC and Tacoma, WA. With stunning nature, beautiful cities, temperate weather and warm Rotarians, we have a lot to offer. Two major cities near us but not in our District include Vancouver, Canada and Seattle, USA. They could be a part of your tour before or after. Vancouver Island in British Columbia, Canada. 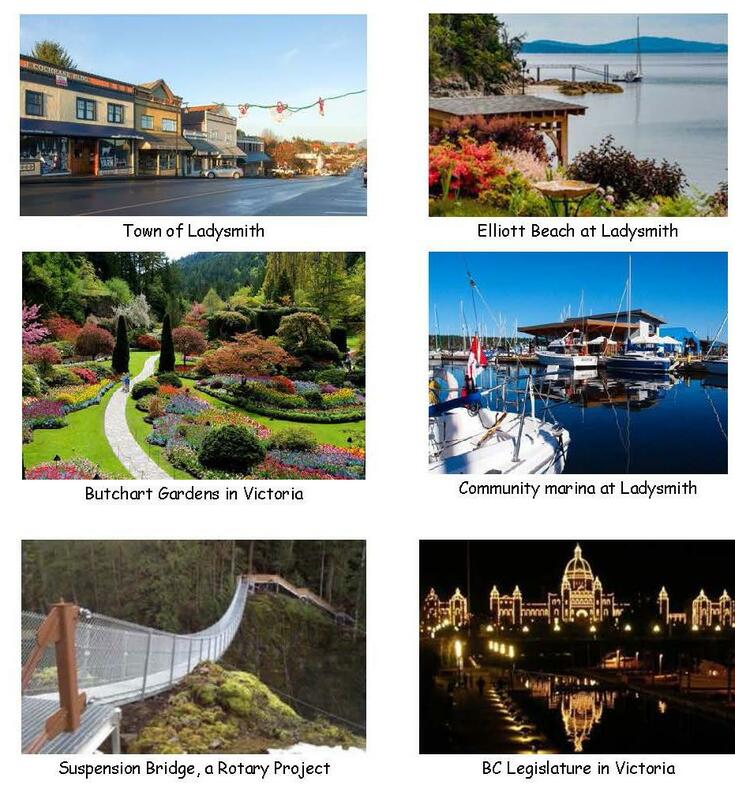 The best known Canadian city in District 5020 is Victoria, the capital of British Columbia. Here you will find the Legislature Buildings and the Provincial Museum on the bustling Inner Harbour. You can also enjoy tea in the Empress Hotel, take a water taxi tour of the harbour, wander through the world famous Butchart Gardens, and visit two real castles. District 5020 is a maritime and forest dominated region. Visitors will see magnificent snow-capped mountains, whales swimming along the coast, and giant 500-year-old growth forests. Western Washington State in the USA. 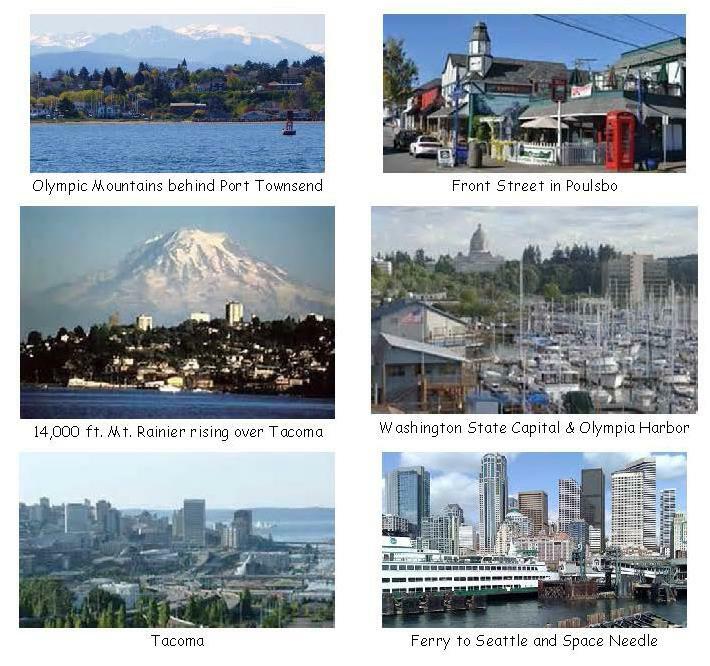 On the American side of District 5020, visitors will explore the scenic Olympic Peninsula and the Puget Sound area with access to islands, beaches, and the city of Tacoma. Seattle WA is a 30 minute drive from the district and its attractions often become part of the tour. Tacoma is an attractive old port with a vibrant artistic culture. Olympia, the state capital of Washington, is another interesting attraction. Visitors may also stop by Mount St. Helens, an active volcano. 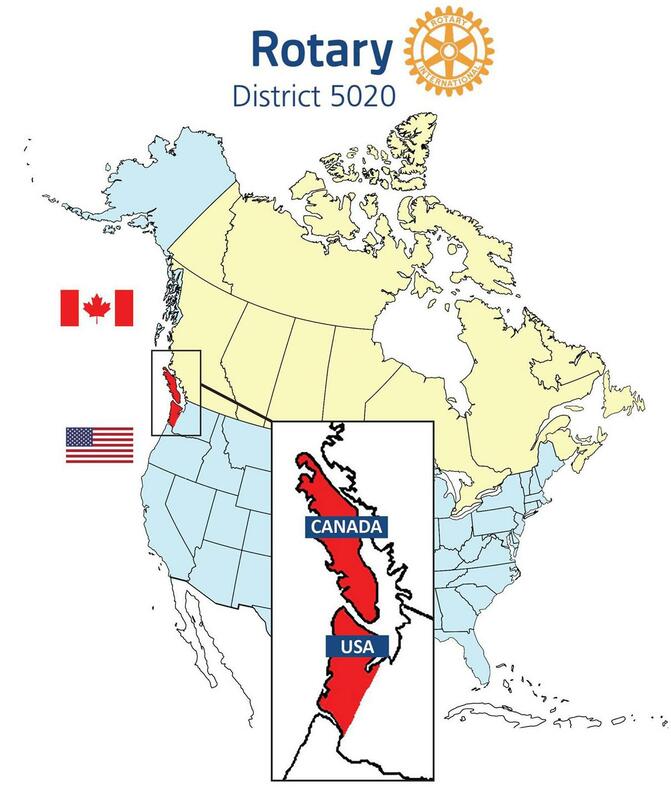 District 5020 RFE Main Page. Ideal periods to visit us include May and June and September, Possibly April. We avoid July and August due to summer vacation period. We do exchanges of 8 - 12 team members, usually for 9 - 12 nights but we are as flexible as you. While both Seattle, USA and Vancouver, Canada, are NOT in District 5020, these are 2 large cities you may wish to visit . Because we have a large, long district with an ocean in the middle (requires a 90 minute ferry crossing) we often start in one country and end in the other. So a typical exchange is 3 nights per centre. Two centres per country. Typical is to land in one end of our District, and depart from the other end. Your flights from home could be to Vancouver, spend a few days there on your own, then ferry or fly to Vancouver Island, then RFE tour south to USA side towards Tacoma, Washington, USA. You could then fly home from Seattle or back to Vancouver. Costs: We provide "Bed and breakfast" and some evening meals. We do not have funding so we sometimes have to charge land costs which cover some transport, entry fees to museums, ferrys, etc. We expect to pay similar when we visit YOUR district. We endeavour to keep costs low. While the above are preferred practices we are quite open to ideas and innovation. Chair (As of July 1, 2019) PDG Kevin D. Hilgers.